You have commanded your own vessel for so long, you probably believe saltwater runs in your veins. However, your kids certainly won’t naturally inherit your love of the water. Just as you learned the art and science of boating at a young age — and thus, you developed a lifelong affinity for the sun and waves — you must pass on your knowledge of the craft through patient teaching and training. Undoubtedly, you will eventually enjoy a weekend on your boat with your own tiny crew — but first, you must instruct them in the boating ways. Boating is as much a lifestyle as it is an entertaining and engaging hobby. By participating actively in that lifestyle, your children can learn skills that will benefit them elsewhere. Like team sports, boating often encourages leadership as well as teamwork, and like strategic games, the hobby fosters a keen sense of logic. Boating teaches kids concepts that are difficult to understand in other contexts, such as direction sense and weather knowledge. Finally, after learning enough to command their own vessels, most children will develop unshakeable self-confidence, which will serve them well in any future life pursuit. Thus, even if your kids grow tired of spending their days floating free on the water — though honestly, who could get bored of boating — they will be equipped to tackle any terrestrial challenge with their boating skills. Boating is certainly not for children of all ages. Kids don’t become proficient swimmers until after 5 years of age, which means you shouldn’t expect your child to be able to complete complex boating tasks on deck before then. However, even older kids aren’t ready to tackle gargantuan 50-footers when they are starting out. You should make sure you have a boat that is suitable for small hands and unbalanced legs, which may mean getting rid of your old boat and finding something new. Once you have an appropriate craft, you should also be sure to outfit it with quality safety materials. Every state has a minimum amount of safety equipment for boats of various sizes; however, these stipulations may be as meager as a fire extinguisher, appropriate lighting, and a horn. To keep your kids safe, you will need whistles and flotation devices for everyone on board, distress signals, a well-appointed first aid kit, anti-slip grit tape, and potentially more depending on the activities you hope to complete onboard. Even before your kids are old enough to be seaworthy, you can start teaching them safe boating rules. 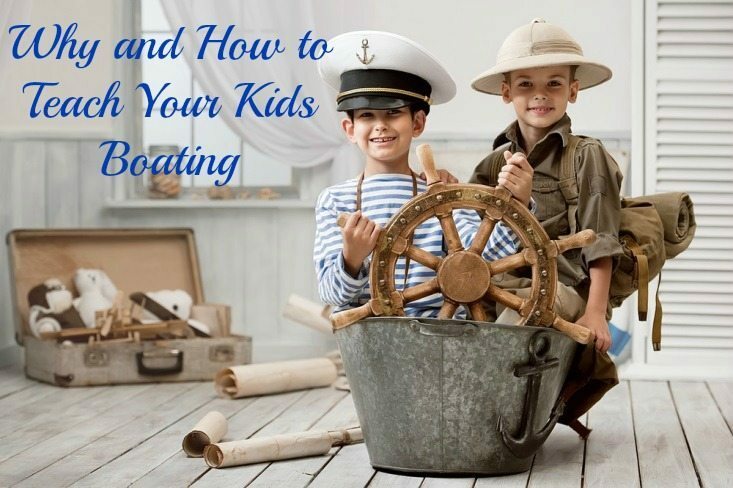 Through pretend play, little kids can practice proper boat behavior and etiquette, like wearing life jackets, walking instead of running on deck, avoiding the prop while swimming, and more. 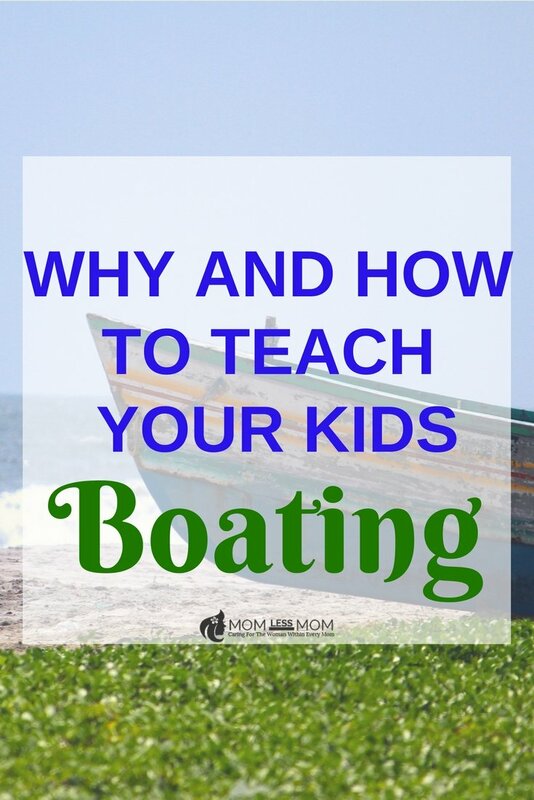 Then, when they near the age of real boating lessons, you should make sure they understand the importance of boat safety before you let them onboard. 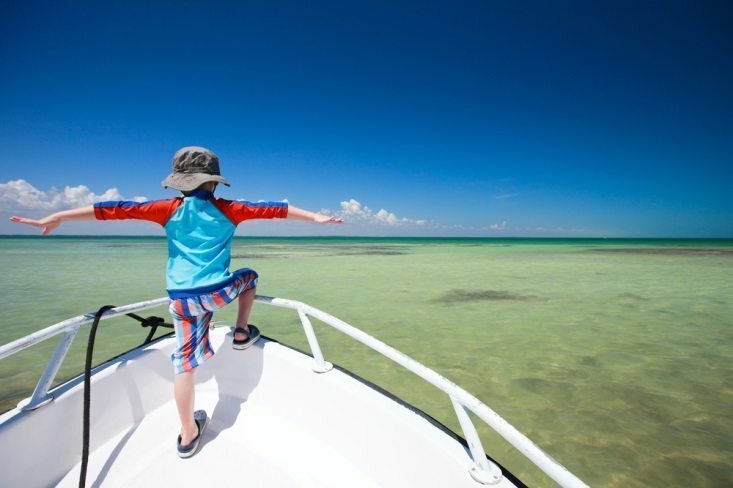 In addition, many states offer child boat safety courses that you can take with your kids to make sure they are learning what they need to stay safe on the water. Older kids, who have long mastered such simple duties, can be trusted with more exciting jobs, like driving the craft, reading the charts, and plotting the boat’s course. However, boats aren’t just work and danger — they provide the basis for unprecedented fun. 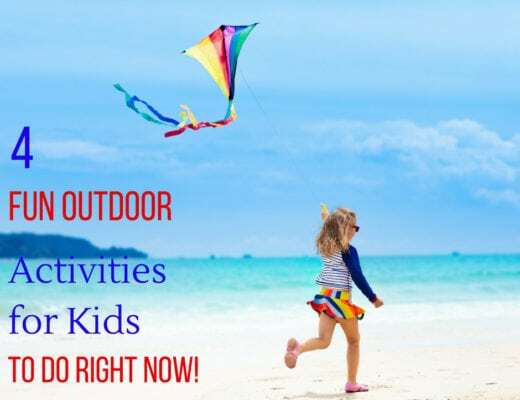 You should be sure to pack water skis and inner tubes, or any other exciting boat gear, to show your kids that playtime is an essential part of taking the boat on the water.